With a long history as one of Australia’s premier providers of state of the art cutting materials and precision surface grinding services, Davis & Jenkins has long been established as a go-to for quality service. 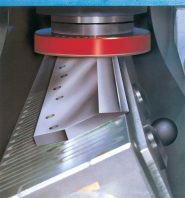 We provide a precision surface grinding service that will ensure a smooth finish for your equipment, be it for metal or paper. We use only quality machinery for our grinding service, ensuring that the job is done smoothly and to the exact requirements of our valued clients. We grind all manner of steel parts, precision steel bars and custom steel plates. We offer professional quality knife and surface grinder services to businesses across Australia. To arrange for your precision grinding needs to be performed by the best in the industry, feel free to get in contact with the team at Davis & Jenkins. Grinding, regrinding and sharpening slitters, hydraulic shears, metal shear blades, steel cutters, scrap choppers and mill blades. Refurbishing, regrinding, handling and refinishing emergency requests. Using reciprocating grinders and large surface grinders. 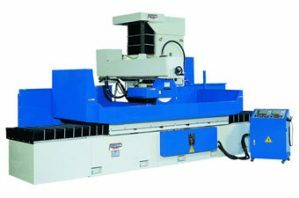 As Melbourne’s leading provider of precision surface grinding services, you can trust that when you get in contact with the team at Davis & Jenkins for a service, that we will get the job done efficiently. With an understanding of such a wide range of industry machinery and a passion for treating each piece of equipment with a profound level of care, you can trust the team at Davis & Jenkins to have your equipment smooth and ready for use. If you would like to make a booking for a precision surface grinding service from Davis & Jenkins or have any further enquiries about our service, feel free to get in contact with our friendly and helpful Australian team. Call us on +61 3 9499 2858 or submit an enquiry form on our contact page and we will get back to you with all the information you require.